Anyone shoot by eye and not use sights? 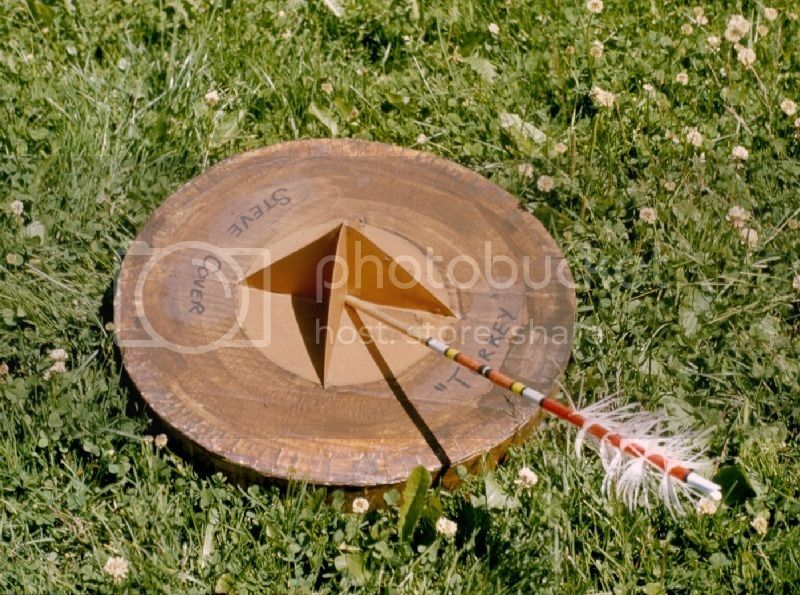 I shoot recurve and the best advice I got was to get a pie plate, stand 10 feet away and shoot at it for hours. Then, when you're just about good at 10 feet, step back 5 and give it another several hours. Then on and on. I don't have the discipline to do that. I stand about 15 paces away and shoot a pie-sized target. You get pretty good after a while. I would imagine that's a bit more difficult. Shooting without sights usually refers to Instinctive shooting, although there are other methods, like gap and point of aim. Instinctive is basically "teaching" your mind and hands to work together to shoot a target, by instantly calculating the distance to the target. Think throwing a baseball or a football. You don't plan the throw, you just do it, and because of practice, you hit the mark. Tha KS for the reference points. I would recommend that you try to get yourself a traditional bow, and leave your compound set up. Saves you from having to put it back together if it doesn't work. You can pick up recurve bows that are pretty darn good for less than $200. I bought a Samick Sage and it works great! But if you want to shoot a bare compound, by all means, giver! +1 on the Samick Sage. Being a takedown, you can get extra sets of limbs to cover a lot of needs. 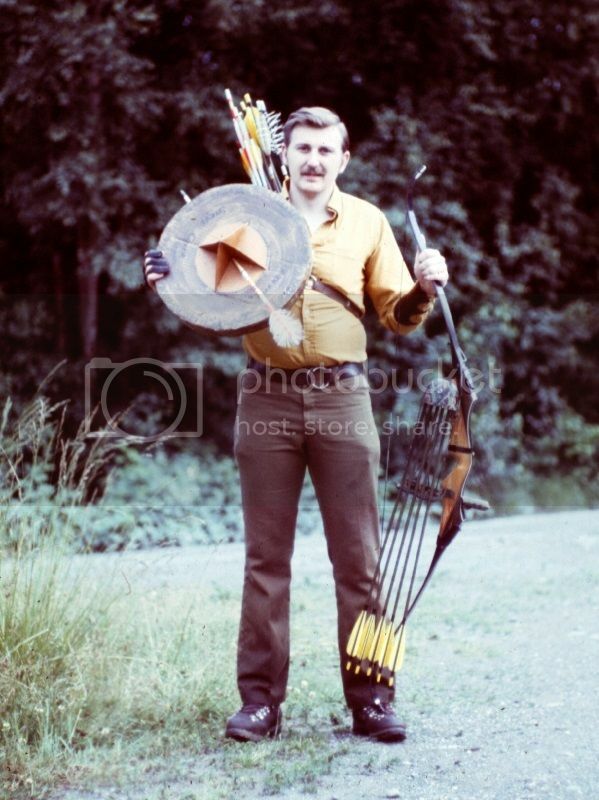 I started shooting a bow and arrow with my father back in 1952. Back then, "instinctive" was still the predominate form of shooting. Just like throwing rocks, it takes a lot of shooting to get good at instinctive archery. So, get a reasonably light weight bow to teach yourself to shoot by feel. You will be shooting a lot of arrows and don't need to have fatigue be a factor. If you go with a takedown, you can add heavier limbs later when needed. My indoor (Garage) practice bow limbs are 25#, and up until recently, (I'm 70 years old) I shot with them quite a bit. The muscle memory and the techniques used on a lighter bow readily translates to shooting a heavier bow later. Most instinctive archers shoot faster than sight shooters. This is for a couple of reasons. 1. The time necessary for the physical act of bringing the sights to bear is not there. 2. Most instinctive ("REAL") archers use some form of long bow that doesn't let off in weight like a compound. The hunting limbs on my Bear Takedown are 75# at 28"... My draw is 30". That comes to about 82 pounds supported by my three fingers not by a "trigger device" linked to a palm handle. Yes, we tend to shoot faster... Why wait? We don't need the time to line up the sights. We shoot by feel. Once you get good at it, instinctive archery offers lots of options that sight shooting makes difficult. Naturally, all of them involve speed of target. For example: ever shoot at Frizbys with fluflu arrows? By the time a sight shooter has figured out which pin to use, the target is usually on the ground. Sight shooters will dispute this of course. But, deciding which pin to use as the range is rapidly changing or waiting until the "instant" the range is perfect for the sighted shot is really impractical. Also, when you get really into instinctive, shooting, you may enjoy it enough to give up the block and tackle arrow flingers. No arrow can compete with that. Always match your arrows to the weight of your bow. If you follow my advice and get a teaching tool weight bow instead of an "I Be Macho" heavy draw useless crap, definitely get a set of matching arrows. The more off center to the line of thrust, the more important matching arrow stiffness is. I've never shot a sighted bow. Here is an example of an aerial target. It was made of cardboard and lasted fairly well when we used field points. One of our group shot it with a Zikery Judo point and tore it up too bad to fix. Frisbys can be modified to this configuration too. Draw an "X" on the Frizby crossing the center. We then cut an 1/8 inch slot across the center from each outside hole. We notched the edge of the cardboard where it met the hole at the end of the Frisby to hold it in place. Since the target is thrown away from the shooters and not just straight up in the air, the triangle provides a target surface area when seen from the side. Naturally the Frisbys last longer than the cardboard ones. Replacing the center piece is quick and easy. We were able use blunts instead of field points. When you get good with your instinctive shooting give this a try. Flu-Flu arrows don't go far and you can shoot archery trap with a moderate weight bow.